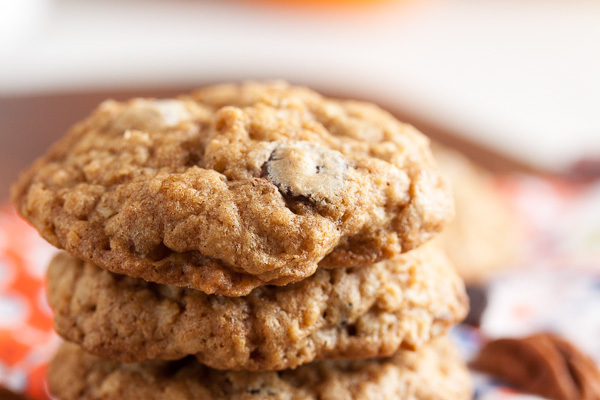 Crunchy Chewy Coconut Oatmeal Cookies | wanna come with? I know what you’re wondering. 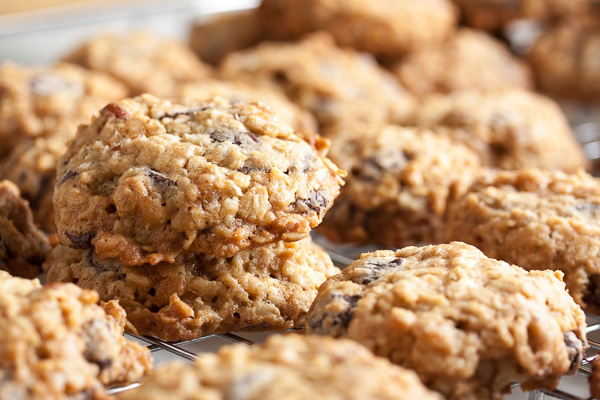 How can a chewy coconut oatmeal cookie be crunchy too? 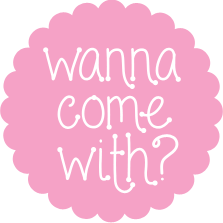 I’ll tell you – with toasted pecans and (wait for it…) crispy rice cereal. Yup, you read right – rice cereal. This combination is a big hit, and people are being blown away by that secret ingredient. One of my friends was eating one while chatting with me, and every time she took a bite, she stopped talking and looked at the cookie. Until she finally broke down and asked what gave them their texture. 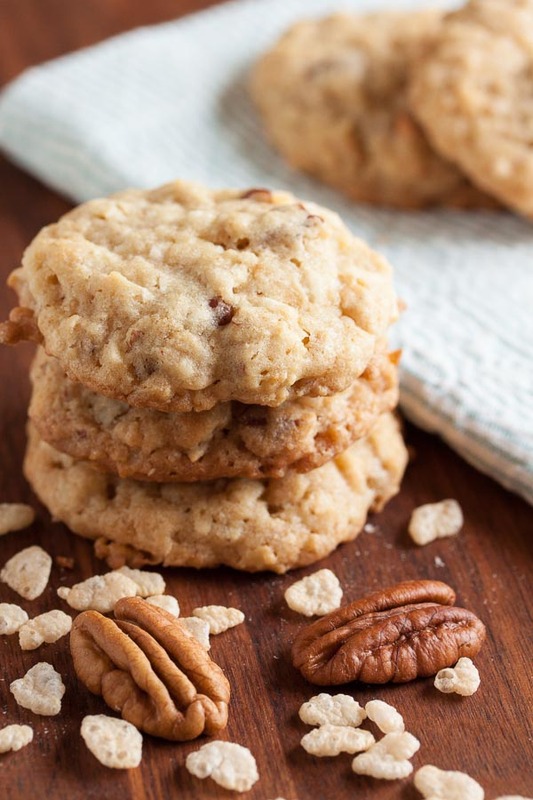 Everyone loves the combination of oatmeal and coconut, but the addition of toasted pecans adds a buttery flavour as well as crunch. And of course the rice cereal gives them a crunchy crispy texture that everyone is loving. I’ve gotten more than one request for this recipe. The original name for this recipe is Chock Full of Crunchies – but after tasting one, it really didn’t do this cookie justice. 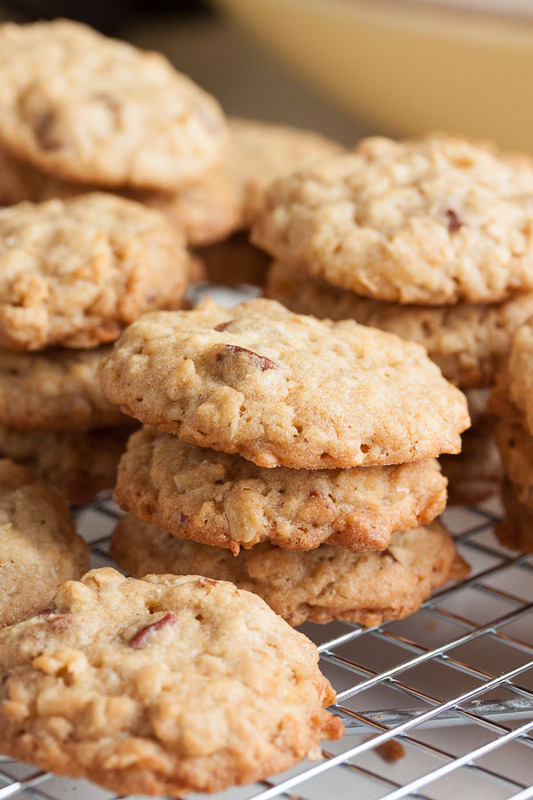 Because while yes, there are a lot of crunchy bits, this cookie is primarily very chewy. 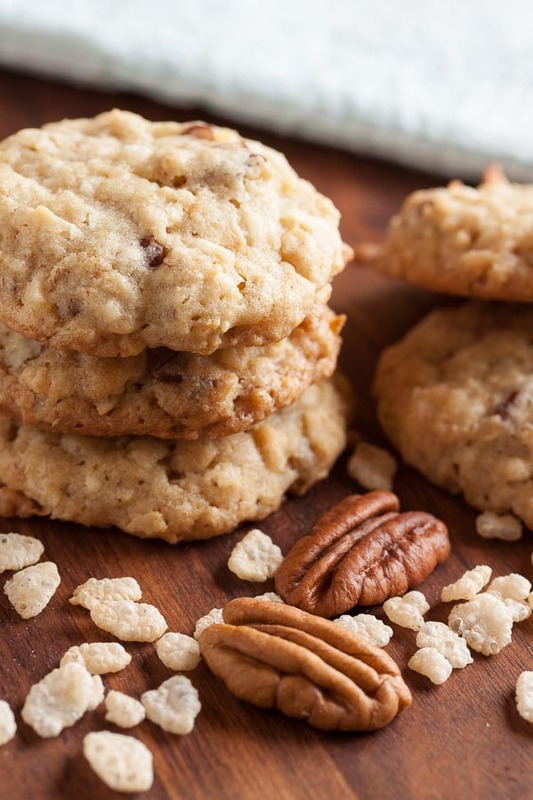 Which is exactly what you’d expect from a coconut oatmeal cookie. But then, yes, there is a crunch. You definitely notice the cereal and the pecans. And all the flavours work together beautifully. I’m always a fan of coconut and oatmeal together – like in these Anzac Biscuits, and with chocolate in the classic No-Bake Chocolate Macaroons (delicious!) 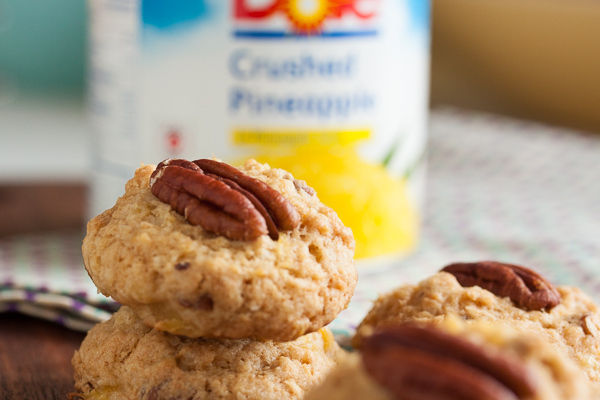 – and of course pecans go really well with coconut too – check out these amazing Hawaiian Pineapple Pecan Cookies. Adapted from "Chock Full of Crunchies" from Great Cookies by Carole Walter. The recipe says it will make about 5 dozen cookies, and I got pretty close to that with 64 cookies using my usual slightly larger than tablespoon-sized scoop. In the bowl of a stand mixer fitted with the paddle attachment, beat the butter and sugars together on medium speed until light and fluffy, about 3 or 4 minutes. Scrape down the sides of the bowl and add the eggs, one at a time, beating well after each. Add the vanilla and continue beating until the mixture is smooth. Remove from the mixer and add in the pecans, oats, coconut, & cereal. I usually knead inclusions in by hand to ensure they’re distributed evenly. Bake about 10-13 minutes, until the cookies begin to turn golden brown around the edges, rotating the baking sheet halfway through the baking time. Allow to cool on a wire rack for a few minutes before removing the cookies from the pan and allowing them to cool completely.